What represents WordPress to you? We are group of passionate users, developers, geeks and artist. 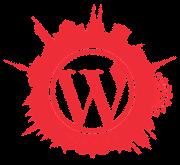 We use WordPress on a regular basis and some of us are really into the code (which is poetry!). We meet every month, generally the second Wednesday, and help each other, growing a solid community around our favorite platform. We meet on the weekend after easter every year for two days at WordCamp Vienna: on saturday a conference takes place, on sunday we attend workshops and plan how to contribute to this great Open Source project.